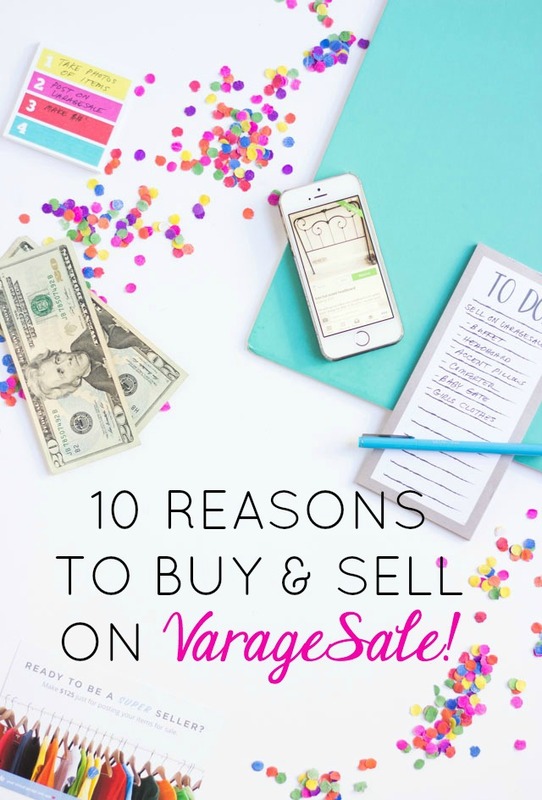 10 Reasons to Try Out VarageSale! Have you guys heard of VarageSale? I know many of you are savvy thrifters so I bet you have, and if not, I’ve got 10 reasons why you’ll want to start using it ASAP! VarageSale is an app-based platform for buying and selling new & gently used items in your community. 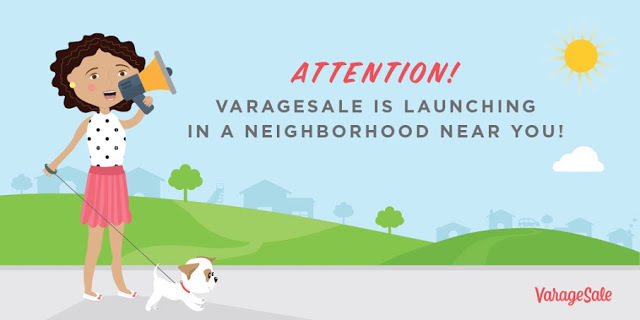 There are hundreds of VarageSale communities in the US and two new communities just started in San Antonio in East San Antonio and Central SA / Alamo Heights. Check out whether there is a VarageSale community near you. 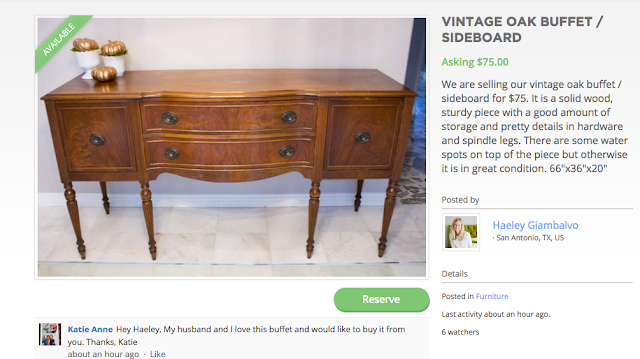 After snapping a photo of the buffet and uploading it to the app, I had two interested buyers within 24 hours! I thought the VarageSale app far surpassed Craigslist and Facebook garage sale groups from a usability perspective. It combines some of my favorite features from sites like Amazon (user reviews!) and Etsy (following sellers!) and Instagram (photo feed!) into one app. 1. User-friendly app – free to download on iPhone and Android and can also be used online. 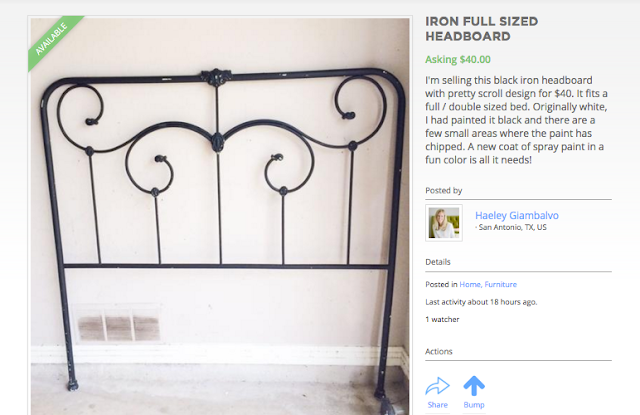 The interface is like scrolling through an Instagram feed of items for sale. 2. Members are vetted – All members are vetted by local admins and moderators and you are able to browse their profiles to see real names and photos. I even was able to include a little bit about myself as a DIY blogger in my profile. 3. Community based – you join a community near you when you sign up, so you are buying and selling with others close by. I joined the new Central SA / Alamo Heights community which already has over 2,800 members. 4. Smart feed – The app uses location technology to sort the news feed based on what’s closest to you. The more people posting and shopping within a community, the more local your experience will be. You can also customize your news feed so that only the categories and items you care about, show up. Not in the market for baby items? You can remove the category from your feed! 5. Follow favorite sellers and items – if you see a particular seller posting some cool stuff, you can follow him or her and be notified when they post new items for sale. 6. Rate members and sellers – one of my favorite features is that you can rate members based on your experience buying and selling with them. Top sellers can earn a badge based on their total number of praises and frequency of transactions. 7. 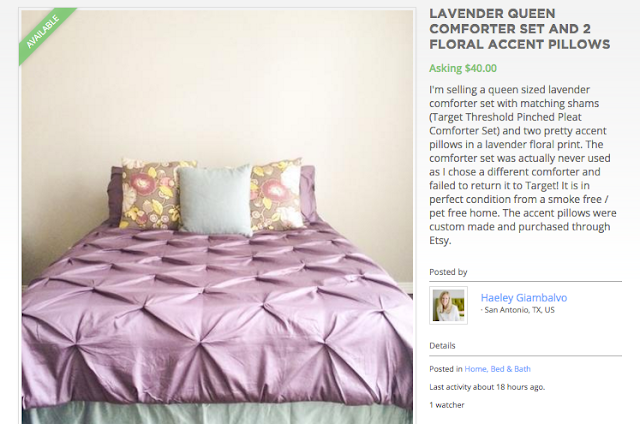 Leave comments directly on post – interested buyers can leave a comment directly on the post. As a buyer it is nice to be able to see what conversation has occurred on the item, and as a seller it makes it easy to respond to buyers’ questions. 8. Share items on Facebook – you can share your VarageSale items with your Facebook friends to get more people to see them. I plan to try out this feature for a few of my items. 9. Sell handmade items too – as a crafter, I love this option! There is a specific category dedicated to handmade items. I may try selling some of my Design Improvised projects this way. 10. Earn cash while decluttering your home! – out with the old, in with the new! It is a great way to find a new home for items you no longer need and make some extra cash in the process. Attention San Antonio readers! Now through Dec. 31st, VarageSale is offering all new members the opportunity to earn up to $125 by posting your items on VarageSale ($5 for each item you post!). Join here! Love VarageSale!! So easy to use and I love the community vibe.